Nebraska lost its biggest playmaker and most experienced player from its secondary, but everyone else is back, setting the stage for what should be a very competitive spring for the defensive backs. Cornerback should be one of the biggest strengths on the team with both starters returning and some talented young prospects in the mix. Safety is a bit more unsettled as the Huskers will have a couple options to play around with as the look to replace Nathan Gerry. A lot will change on defense with the shift to a 3-4 defense, but the secondary is the one position group who will not see a dramatic change. Cornerback is one of the most experienced position on the team as seniors Chris Jones and Joshua Kalu both have more than two years of significant playing time under their belts. With a strong senior year as a cover corner, Jones could position himself to be a mid-to-early round NFL draft pick. He broke up 10 passes and picked off three more as a junior. Kalu has played a variety of positions through his first three years at Nebraska but has solidified himself at the starting corner spot across from Jones and is continuing to refine his technique. Kali led the team with 11 pass break-ups last year. 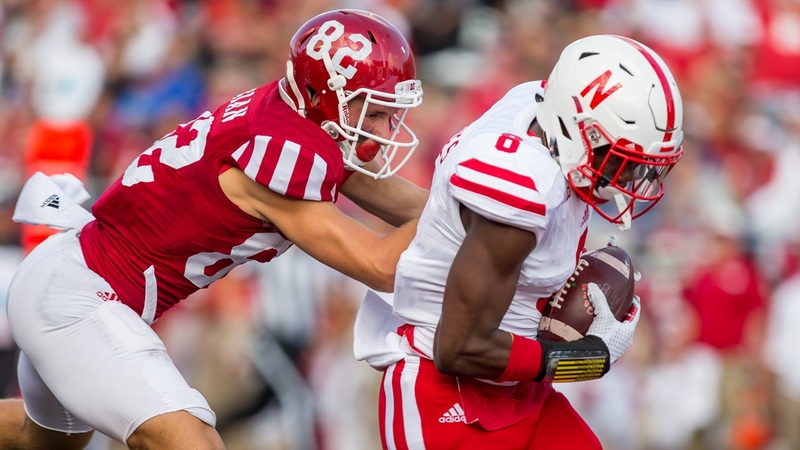 On Wednesday, Mike Riley offered up a depth chart on defense heading into the spring. Behind Kalu at boundary corner is sophomore Lamar Jackson, the highly-touted recruit who saw saw snaps as a true freshman. At 6-foot-3 and 200 pounds with great speed and athleticism, Jackson offers something that no other defensive back on the roster can. Senior Boaz Joseph, who played primarily on special teams last season, is also in the mix on that side. Behind Jones at field corner is redshirt freshman speed demon Dicaprio Bootle. Eric Lee Jr. is entering his redshirt sophomore season and four-star freshman Elijah Blades will join the team prior to fall camp. At the field side free safety, Aaron and Kieron Williams will continue to battle it out as they did last year. They split time last season while Aaron Williams also handled the primary nickel corner responsibilities. Aaron finished with 62 tackles, seven pass break-ups and six tackles for loss last season. Kieron led the Huskers with five interceptions and finished second behind Gerry among defensive backs in total tackles with 69. Tony Butler, a 6-foot-2 redshirt freshman, is also playing at that spot. The other spot is wide open with Gerry’s departure but the 6-foot-2, 220-pound Antonio Reed will get the first shot at winning the job. He saw action in Nebraska’s dime formation and replaced Gerry in the starting lineup in the bowl game against Tennessee. Sophomore JoJo Domann, who saw action on special teams as a true freshman, and redshirt freshman Marquel Dismuke are also working at that spot. Redshirt sophomore Avery Anderson is also in the program. The Nebraska secondary will have new leadership this season with Gerry, defensive coordinator and safeties coach Mark Banker and cornerbacks coach Brian Stewart all moving on, but there is more than enough returning talent to make the secondary one of the team’s strengths in new defensive coordinator Bob Diaco’s 3-4 defense under the tutelage of safeties coach Bob Elliott and cornerbacks coach Donte Williams. The battle between Kieron and Aaron Williams, Antonio Reed’s performance taking over for Gerry and how much Lamar Jackson will see the field are three of the biggest story-lines to watch heading into spring practice. For a closer look at other position groups, check out our spring football preview on the quarterbacks, linebackers, running backs, wide receivers and offensive line.